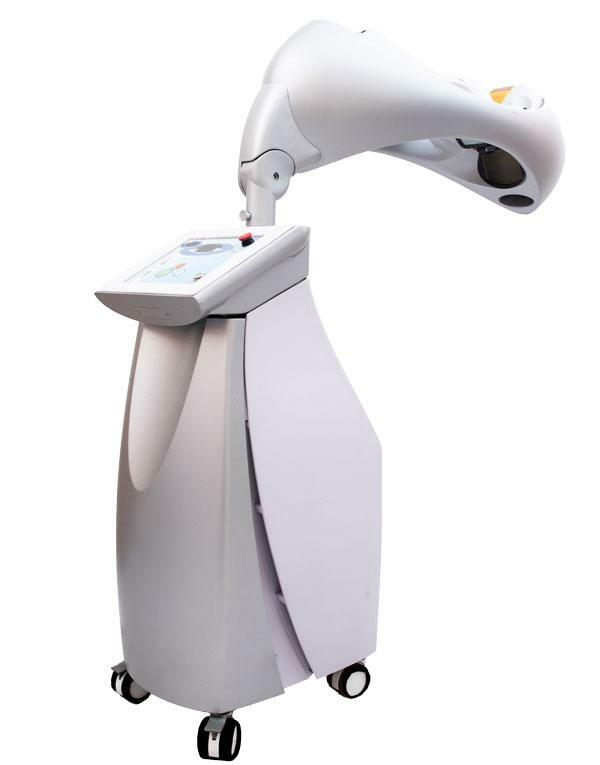 The Clear 100XL is a non-laser, dual wavelength, skin rejuvenation technology using a unique combination of pure light wave length specially designed to cosmetically enhance and revitalize the appearance of aging skin. The technology uses specifically tuned light energy for optimum effectiveness. A blue light wavelength decreases micro-inflammation around skin cells caused by harmful external stimuli, such as UV from sunlight. Acne Clear Light carefully selects the most accurate effective 405-420nm wavelengths of light for acne treatment. It covers the entire face with a bright safe blue and violet lights effective on the molecular and cell levels without injuring thermal effect of intense short pulses in non-selective IPL light. The blend of blue and infrared wavelengths maximizes results in a minimal number of treatment sessions., while an infrared wavelength dilates tiny blood vessels in the skin to increase the supply of oxygen to the treated area. The breakthrough Clear100XL dual wavelength treatment package provides a non-invasive, anti-aging skin treatment combining a series of light treatments with a complete skin care regimen designed to enhance and maintain the results of the treatment. Most of the skin rejuvenation therapies that commonly known work by thermally injuring the skin to induce a wound healing response or use chemicals to peel damaged skin off. Although the wound healing response provides visible results, the damage may produce some inherent long term aging effects. Clear100XL is a non-thermal process which heals aging skin in its gentlest way to avoid all those side effects. At the end of the treatment, you will be guaranteed with radiant skin and healthier skin which is the most noticeable sign of youth and vitality. The appearance of pores is significantly reduced and fine wrinkles are less noticeable. Why should you choose Acne Clear Light? Emits the exact wavelengths of light at the most effective intensity for maximum photo-destruction of acne bacteria and decrease of skin inflammation. Targets the exact layers of the sebaceous glands where most acne bacteria reside (proven scientifically). Eliminates the risk of burns, pigmentation changes or unwanted facial hair removal in male patients, possibly associated with intense non-selective pulses of light and heat. Endorsed and used effectively and safely on all skin types, by leading dermatologists in major universities and clinics across five continents.